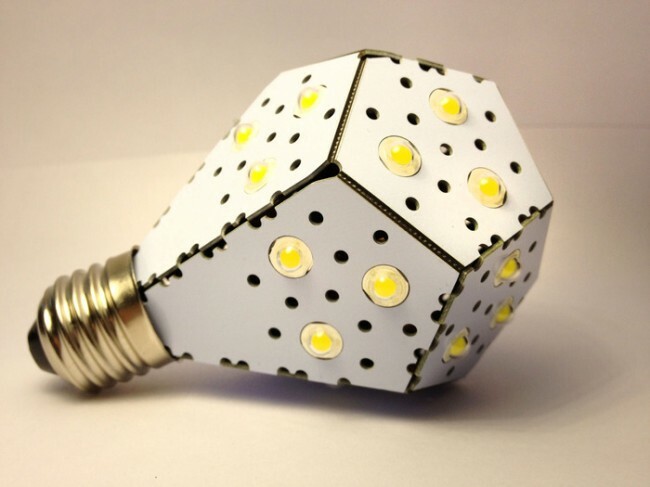 The light uses LEDs that require just 12 watts of power to run. These 12 watts are enough to provide the equivalent light of a 100W incandescent lightbulb. Where other LED lights use a heat sink to dissipate heat, this one has a unique style that has been designed to run 20 degrees F cooler meaning that the heat sink is not needed. Comparing the lamp to other types, the details in the image below are for 30,000 hours of usage. 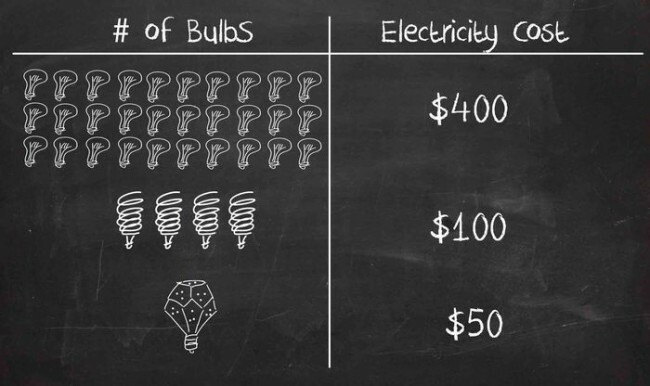 The costs show how much electricity is needed to run them for 30,000 hours which makes LEDs the clear winner. The team has also selected the right LEDs to make the light look as you are used to. When using some LED lights you often see a more blue tint to the light. These aim to be closer to incandescent with a 3500k neutral white with some warmth. Overall, an impressive project. I have to admit that the design is rather unique and different to what I normally see, but for the cost savings, I could get used to it. The project only has a few more days on Kickstarter. It has by far surpassed its goal of $20,000 and is now at $242,954. Full details here.